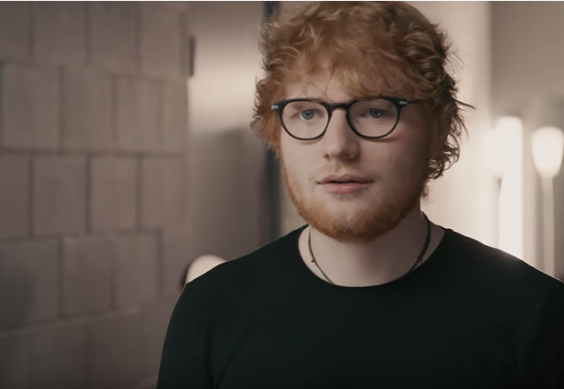 Ed Sheeran, Chris Brown, Kendall Jenner and DJ Khaled all make incredible cameos in the new video for Lil Dicky’s track Freaky Friday. Lil Dicky has made a triumphant return to music after a three year break from recording, probably because he realised he just wasn’t as cool as everyone else in hip hop. 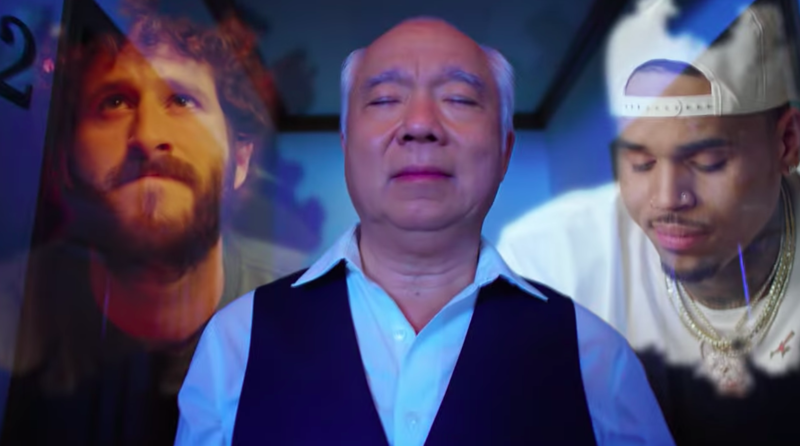 In the video, Lil Dicky receives an underhanded compliment from a fan which causes him to wish he was Chris Brown. And in a Freaky Friday situation, Dicky wakes up to find out that his wish has come true, and proceeds to live his life as an ecstatic Chris Brown. You see Chris Brown wake up next to two women in their underwear, and he slowly realises how great his life is. Obviously because this is a Freaky Friday situation, Brown himself wakes up in Lil Dicky’s body, which he quickly realises is actually a pretty good thing because he can go around living his life without scrutiny. However, as Dicky parades Brown’s body around on social media, Brown quickly realises he has to get back into his body. But before the entire ordeal is over, Dicky also manages to end up in the bodies of DJ Khaled, Ed Sheeran and Kendall Jenner. I knew that I had to switch bodies with a really good-looking guy that can sing and dance. And then I thought about who that is and like, Chris Brown, it’s like, you know, no one can dance the way he dances. Chris Brown’s controversial past was brought to the fore again this week as a result of a questionable Snapchat advert. The temporary photo-sharing platform, which was once so popular, allowed an advert for a Would You Rather game, that gave the options of ‘Slap Rihanna’ or ‘Punch Chris Brown’, through the net. The advert is clearly insensitive given that Chris Brown was found guilty of domestic assault against pop queen Rihanna in 2009. The ad was reviewed and approved in error, as it violates our advertising guidelines. We immediately removed the ad last weekend, once we became aware. We are sorry that this happened. Snapchat’s advertising policy states that all adverts are ‘subject to our review and approval’ and they reserve the right to reject or remove any ad. Wonder if Snapchat is wishing they could switch bodies with another app right now.